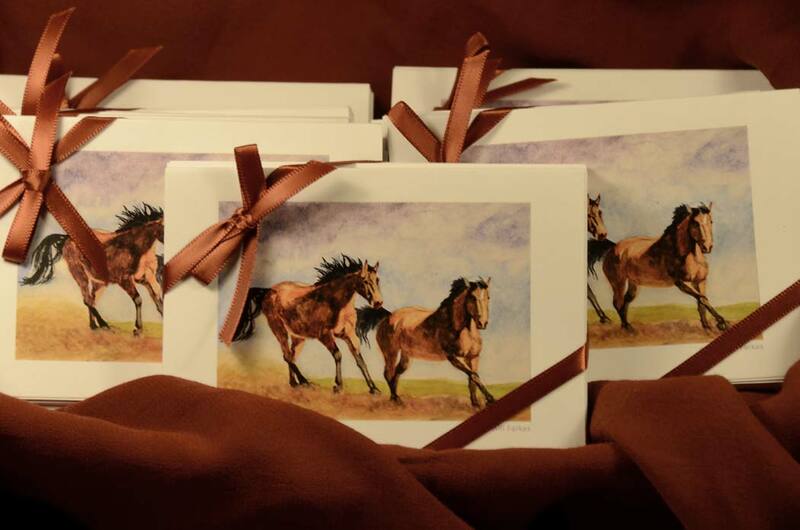 Note cards featuring some of the Aquabord™ paintings are now available! There are ten cards and envelopes in each set, wrapped in a satin ribbon. Each set has five designs, with two copies of each design. 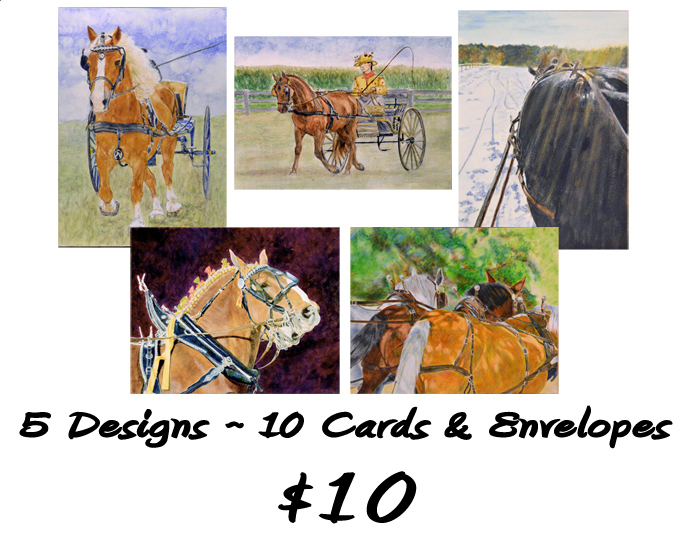 The set which features all horses in harness can also be ordered as 10 cards of a single design. 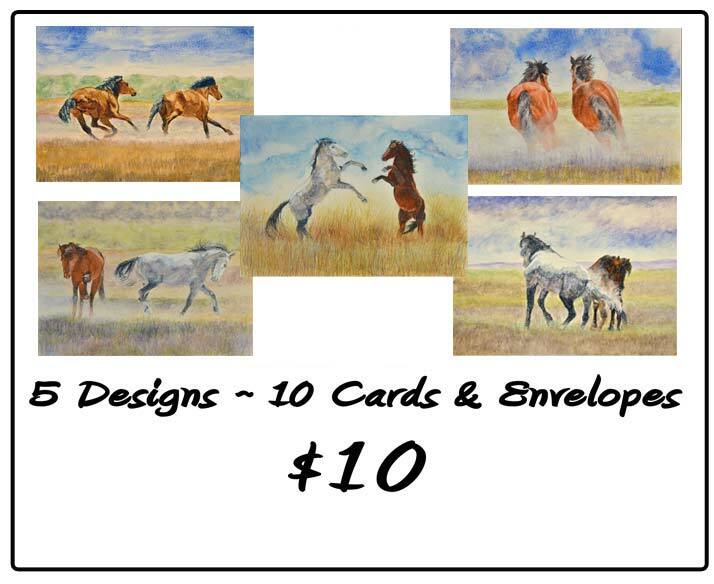 Just describe which image you would like all 10 cards to be and I will make up that order for you at no extra charge. If you would like to order, send me an email via the "Contact Me" page. Price is $10 per set, plus $3 shipping. You can order up to 2 sets for the same $3 shipping charge.